Two views of Wendelstein, in the Bavarian Alps, from a distance of 135 kilometres. The photographs were taken by Gerhard Gro� on 17 December 2007. 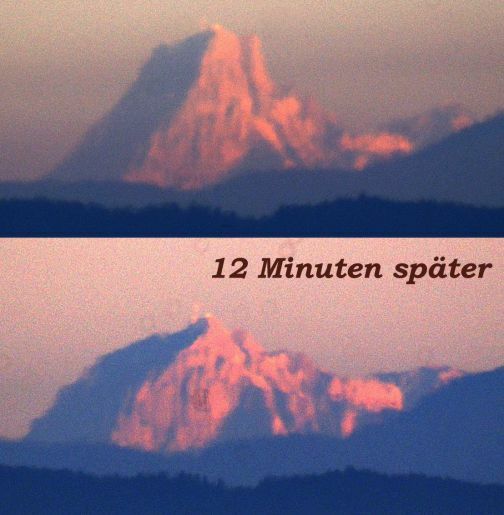 The first photograph, showing spectacularly enhanced refraction, was taken at 17:16; the second was taken 12 minutes later. The viewpoint was Eschacher Buckel Panoramaplatz, location 47.70642�N 10.19464�E, elevation 1,060m.